Now back in Kathmandu, the capital city of Nepal, Shusila and Roja reflect on their 14 years in Lebanon during which they gracefully juggled domestic work and proud activism on behalf of their fellow co-workers. 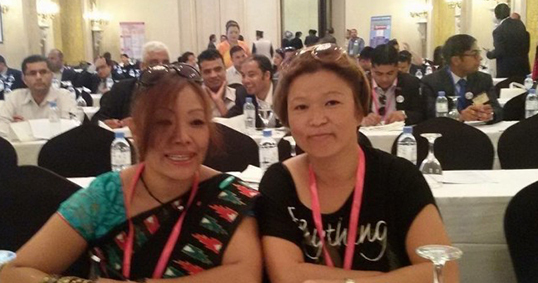 Shusila and Roja were members of Foreign Employment and Migrant Workers Welfare Committee (FEMWC) of the Non-Resident Nepalese Association in Lebanon, members of the self-help Nepalese group in Lebanon NARI (supported by the Lebanese NGO Kafa Enough Violence and Exploitation), members of the General Federation of Nepalese Trade Unions (GEFONT) and founding members of the Domestic Workers’ Union of Lebanon (DWUL). In their many capacities, they referred compatriots in distress to the lawyers and social workers of NGOs and the DWUL, they took the streets to call for the abolition of the Kafala (or sponsorship system), lobbied their government – Nepal -- to set up an embassy in Lebanon and participated in policy discussions where they played an instrumental role in preventing the age ban on the deployment of Nepalese workers abroad. [Studies show that deployment bans force women – desperate for jobs – to circumvent the ban via circuitous routes where they are at increased risk of exploitation]. The story of their activism in Lebanon and Nepal took a turn for the worst a few months ago, when Shusila was arrested on the morning of 30 November 2016 and Roja five days later, on 5 December 2016. Both were picked up by the police from their employers’ homes (their workplaces). They were handcuffed and taken to the detention centre where they were subjected to long hours of interrogation. They were blindfolded, forced to speak in Arabic, a language they barely understand, and were asked to sign Arabic documents they could not read. The police accessed all their confidential emails and private conversations on WhatsApp, Facebook and Viber. On several occasions, they were denied water, food and access to the bathroom. Sushila was forcibly deported back to Nepal 10 days after her arrest without any legal advice or appeal. Upon the insistence of human rights activists who rioted outside the detention centre and the official letters sent by the DWUL to General Security, Roja was finally allowed two very brief encounters with a lawyer, one only lasting 5 minutes. She was deported 55 days after her arrest on 29 January 2017. Shusila and Roja were accused of assisting the escape of fellow workers from the households of their [abusive] employers, accepting money from NGOs, and supporting the Domestic Workers’ Union, an entity that Lebanese authorities continue to consider as illegal in view of the exclusion of domestic workers from the labour law. Shusila and Roja attribute their predicament to the network of Nepalese and Lebanese human traffickers and brokers who are exploiting the misery of the Nepalese workers in Lebanon and who are opposed to the establishment of an Embassy of Nepal in Lebanon – a cause which Shusila and Roja have championed in recent years and have become very vocal about in the weeks preceding their detention. Their arrest, detention and deportation were intended to intimidate them and others in the community. The story of Rosie’s and Shusila’s detention has captivated the attention of many people around the world. IDWF has launched a call to sign a petition to free Shusila among the participants of the civil society days of the GFMD (Global Forum on Migration and Development). With the support of Freedom United, the IDWF has also released a statement calling on the Government of Lebanon to respect its obligations towards ILO’s core Conventions on the Right to Organize and on Freedom of Association and towards Article 9 of the International Covenant on Civil and Political Rights (ICCPR) which ensures the right to be free from arbitrary arrest and detention. More than 55,000 signatures were collected during the signature campaign. We cannot allow the story of their suffering to slip into oblivion like the stories of numerous other domestic workers in the Middle East who were confronted with Kafala’s ugly face. We cannot stand idle in the face of intimidation and violations of due process. We should capitalize on Shusila’s and Roja’s struggle to call on Lebanon to face the demons of the Kafala system. Lebanon must ratify Convention 189 and overhaul the sector’s governance. But first, Lebanon must recognize the Domestic Workers Union. 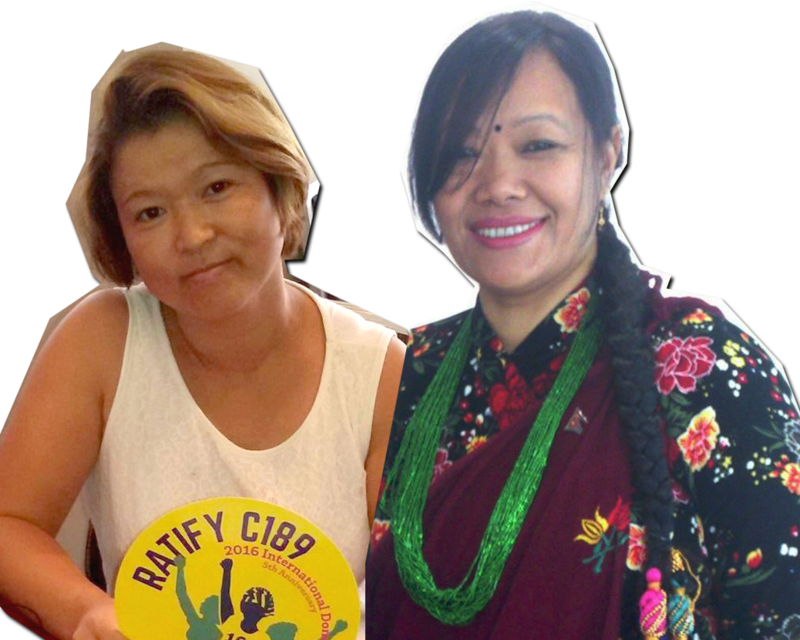 Shusila and Roja recognize that if the domestic workers’ union fails, migrant domestic workers in the Arab States will be discouraged from pursuing their right to freedom of association and collective bargaining. This unfortunate event should also convince the Government of Nepal to establish an Embassy which would cater for the concerns of its citizens in Lebanon as well as give implementation force to Nepal’s Foreign Employment Act (FEA). Shusila and Roja are members of the growing community of hard working women domestic workers in Lebanon and the Middle East who are trying to make their voices heard. On their shoulders, the economies of the region rest and thrive. They deserve better from us. The IDWF chose to celebrate their courage on International Migrants’ Day and will continue to mobilize until justice prevails for Shusila and Roja. Today…we celebrate them on the occasion of the International Women’s Day! Happy Shusila’s and Roja’s day!